I have specialize in custom WordPress solutions and services. WordPress is favorite tool to use for any website, whether as a blog engine or as a CMS (Content Management System). We can work with you on any level of your project that you may need support with. WordPress, considered to be one of the best content management systems, has brought a big revolution in the world of blog publishing. Its easy to use architecture, templates customization facility, and multiple features have popularized this CMS in bloggers as well as web developers. via an intuitive, and easy-to-use online administration dashboard. One of the most powerful and flexible content management systems. Free open source software for every individual, professional, and business man. Includes SEO features that make your website valuable for search engines. An opportunity to avail customized themes. We will provide you a professional WordPress Theme based blog application development to make your corporate, business or personal thoughts published online. We will install WordPress in your server and assist you in getting a customized web blog application which is integrated with your existing website design. We can simplify WordPress and provide necessary blog Administration panel to you, to start your own business blog. We can also support you in making your WordPress blog SEO friendly. 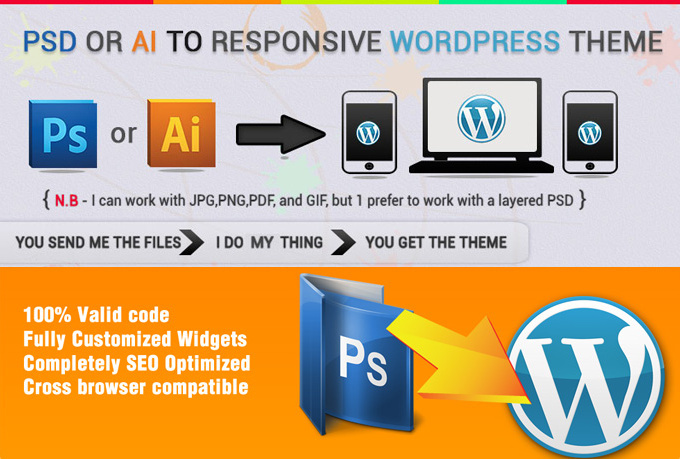 Our wordpress designers will install and configure WordPress as a CMS. You will get a professional Admin panel to manage your pages, content and META data for Search Engine Optimize. We are experienced in integrating third-party WordPress modules, WordPress Plugins such as SEO, visual editors, Multilanguage capability, photo gallery, File upload, site statistics, SEO friendly URLs, etc. We also develop custom WordPress plugins or customize any third party plug-ins to enrich your WordPress CMS driven site with features. Your site will be have a seamless integration with the design, and you get an exclusive, SEO friendly, fast-loading site with an easy to use Content management system. We create professional WordPress themes, including completely custom WordPress we design templates, that will comply with WordPress theme design guidelines. We can integrate these into your WordPress blog or WordPress CMS site.